The distinctive Morbier, traditionally with a layer of ash running through the middle, is a must try and one of our most popular cheeses. Strong fruity flavours dominate from the start, with a rich and creamy texture, leading to a slightly bitter finish. 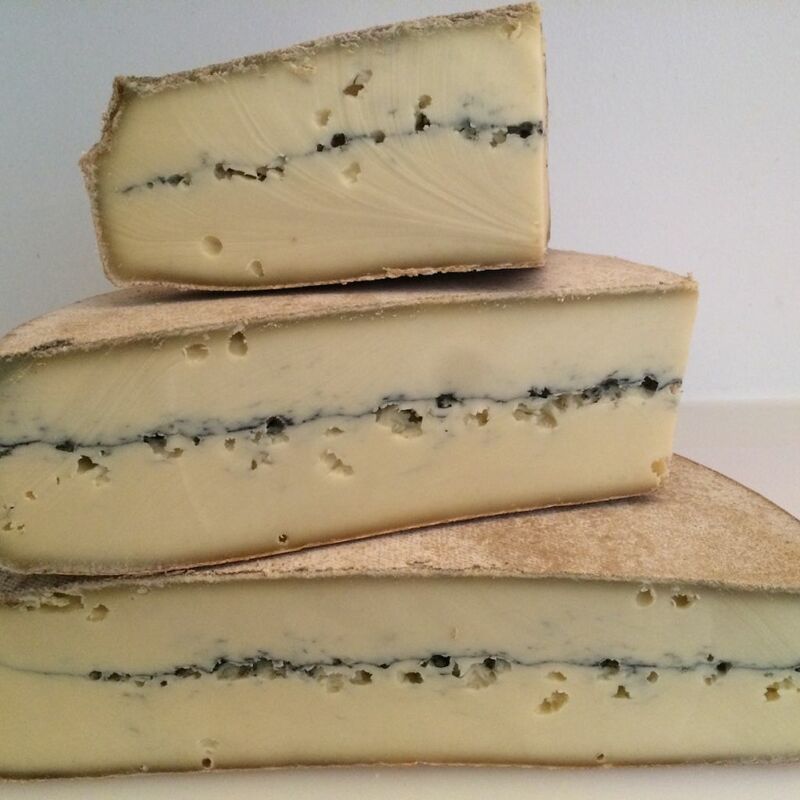 Morbier looks great on a cheeseboard and it's strong, but not overpowering flavours help make it accessible to all. We also enjoy Morbier in a toastie as it's springy texture, not unlike Raclette make it a good melting cheese. Traditionally Morbier was made with a layer of evening milk curds, a layer of vegetable ash on top to protect it overnight, and then the curds from the morning milk were added on top, although nowadays the cheese is usually made from one milking and the ash replaced with dye in many cases. This doesn't detract from the quality of the cheese though and it's still a unique and highly tasty classic French cheese. We recommend a nice Burgundy with Morbier.